Through the Associate of the Month program, Diverse Staffing is able to engage and recognize our most dedicated and talented workers. This month, we’re excited to announce that Charles Downing received the Associate of the Month award for our Greenwood Recruiting Center. 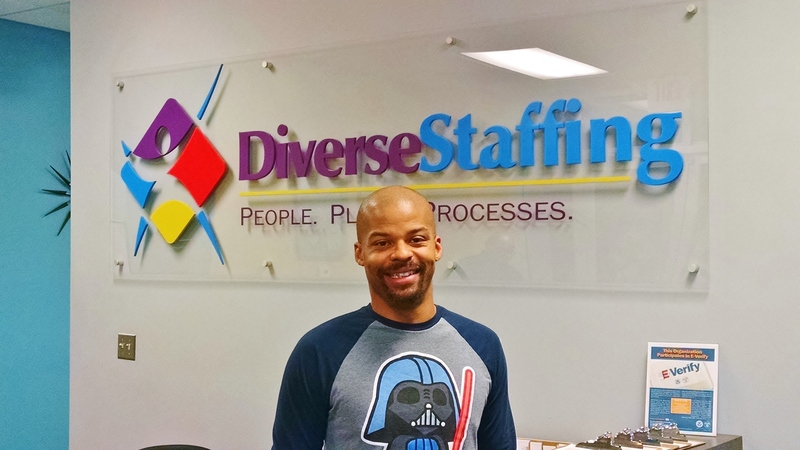 Charles is a dedicated Diverse Staffing associate who exemplifies excellent work performance and attendance. Keep up the great work, Charles! Through the Associate of the Month program, Diverse Staffing is able to engage and recognize our most dedicated and talented workers. This month, we’re excited to announce that Erik Baldwin recieved the Associate of the Month award for our Greenwood Recruiting Center. 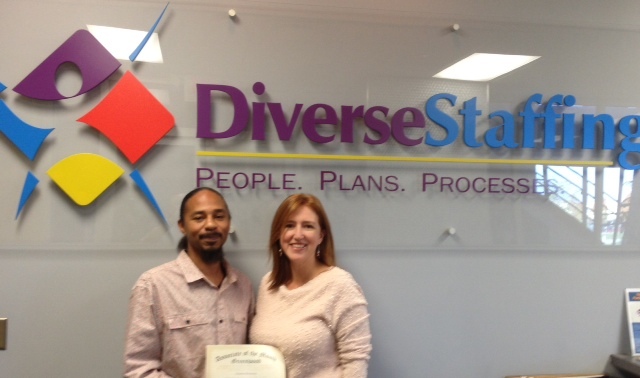 Erik is a dedicated Diverse Staffing associate who exemplifies excellent work performance and attendance. Keep up the great work Erik!